i can't believe that brian and i were just in south carolina a few months ago and we didn't know about this super cool place: http://www.cnn.com/2008/TRAVEL/08/28/birds.of.prey.ap/index.html. 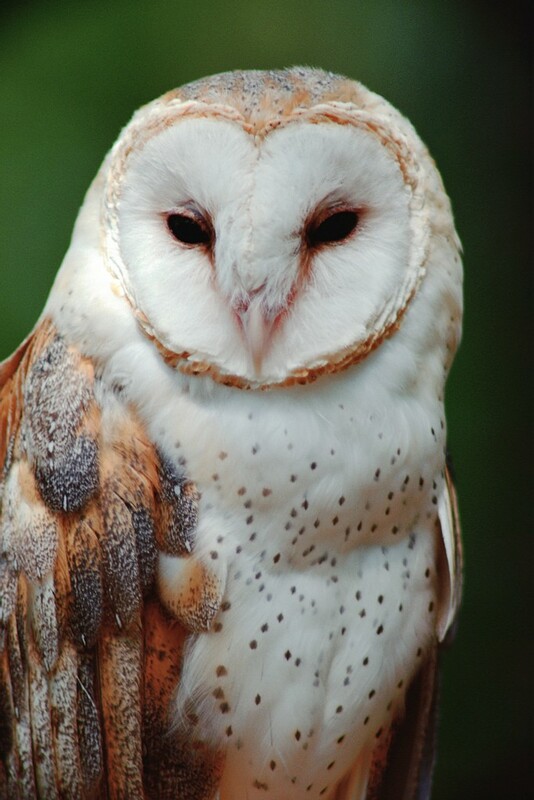 we could have seen so many cool birds of prey--but especially my beloved owls! alas i don't think we'll make it there again anytime soon. but if you happen to be going down to the palmetto state i'd recommend checking this place out. and be sure to take pictures to share with me. you can see the firepit on the side of our house. we still have yet to fire it up, but i have a hunch that will happen very soon. the other outdoor pic is actually our backyard. as you can see we don't have one. it's just a walkway flanked with trees. we love that...since it means there is less lawn to take care of. and we like those trees because you can see birds in them from time-to-time. we'll have to get a bird feeder sometime (perhaps a hummingbird feeder!). the inside pics are of our kitchen, which is quite large (so much bigger than our condo's) and the living room fireplace. 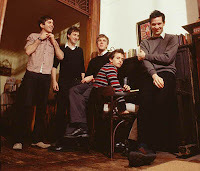 i just found out about the walkmen...which is a band that's been around for a little while...but sometimes it takes me awhile. their new album is really very good (you & me). i've been listening to it for the past few days and am digging it. so if you feel so inclined i'd recommend checking it out. well, we signed all the papers on friday and officially bought our new house! of course the bank still owns most of it, but just give us 30 years and then we'll see who owns it outright. friday we signed the papers and cleaned it up a bit. we also brought over a little stuff. saturday we got up early to get our budget moving van and then loaded all our stuff from mom's place onto the van. thankfully a few of mom's neighbors were willing to help us out. we got it all on the truck in about an hour, which isn't too shabby. brian did a great job driving the huge 24 foot-long truck to our new place. we then had some great helpers assist us in the unloading process. once we got everything in we had to do a few errands (like take the truck back to american fork), but we spent most of saturday afternoon/evening unpacking and getting settled in. brian went out and bought our new push lawn mower and moved the lawn. we--particulary brian--learned the importance of staying on top of your lawn. it's a lot easier to mow when it's not long. we finished the day very tired and very sore. i have sore muscles that i haven't felt in a really long time. some i'm sure i've never felt before. sunday we did more settling in and went to our new ward. our building is right across the street from the temple, which seems pretty strange, but this is utah. it's a big ward, but it seems interesting and like it will work out well for us. brian even scored us an invite to a pool party/bbq tonight. after church it was more unpacking, moving furniture, ect. i'm pretty proud of our place...we've done a good job of getting things pretty set up...especially considering that we've only been there a few days. once things are in a little better shape we'll send some pictures. so, anyway that's about it. we'll get our internet set up tomorrow so i can start working from our home, which will be nice. it wasn't super fun driving to mom's this morning. it's much nicer just to roll out of bed and jump on the computer. so one thing i've found since i've shifted to working at home is that i do a whole lot more chair dancing. before, i would be at work sitting in my cube, listening to my trusty itunes and bopping a bit...but now there really isn't any need for restraint. no one will look at me and think i'm weird. although the chair is a little restrictive, i can still move pretty well. so just chalk this up as another benefit to working at home. in case you want to know some of the songs i really got down to this morning, they are "upon this tidal wave of young blood" by clap your hands say yeah and "mansford roof" by vampire weekend. it's official...we're getting a house! we arrived in utah on july 6th and have worked dilligently since then to find the right house for us. we were really quite picky. below are some of the things we wanted. * to live within 3 miles of campus. * a slightly older home that had some funky element. * a place with a small yard. * a 4 bedroom/3 bathroom house. with that in mind, we put in an offer on a really funky house--but that offer was rejected. we then decided to put in an offer on a place (actually the house that was brian's first choice when we moved to utah), and it wasn't rejected! it really meet most everything we wanted, and there are a few bonuses (it has a firepit in the backyard, it has a basement apartment we can rent out, and it is only a 12-minute walk to brian's office). so after going back and forth with the seller for a few weeks on price and other issues...we finally have it under contract and are excited about it. we hope to close on friday the 15th and then start moving in on the 16th. in this buying process, we discovered a few things. * it really helps to have a good agent. thanks peter! * it's good to know what you want. * nothing beats buying a place from a contractor. our seller is so handy. he replaced the family room asbestos ceiling in 1/2 a day. he's replaced all the showers in the house, he replaced the roof, ect, ect. without further adieu, below are some pics (the second is the view of the mountains from our place). we'll send more once we're in. yea! We were so blessed to have had so many excellent suggestions on the gift we're preparing for my youngest brother. Seriously, we wish we had found a dozen VIP BUDDY shirts so we could have implemented each and every thought-provoking suggestion. But alas it's only one shirt, and tonight when we got home we were feeling very decisive. One thing we decided in our fit of decisiveness: to take advantage of the fact that the word VIP is contained in the word MR. Behold, Mister Buddy, your Mr Buddy shirt. Years ago, now, my youngest brother and I started calling each other "Buddy." This moniker turned into "Mister Buddy." And the intonation we use while calling each other "Mister Buddy": that of an overly pious church man. This history becomes relevant because last night at the DI, N and I found a shirt that says "VIP Buddy" on the front of it and "For Love of the Game on the Back." Given his nickname, this shirt seemed like a likely present for my youngest brother. So we bought it. On the way home, we decided that the front of the shirt seemed immediatly relevant. But the back--"For Love of the Game"--seemed like a non-sequiter. After all, my youngest brother doesn't like sports. But, we remembered, he does like video games--a lot. So we decided that before giving the shirt to my brother, we could use a permanent marker to alter the back of the shirt so it says one of the following two phrases: 1) "For Love of the Video Game" or 2) "For Love of the Gameboy." But we can't decide on which phrase to use and we need the help of our Gentle Readers, whether they happen to know my youngest brother or not. We're looking for campy, Gentle Readers. What seems more campy to you? i had a honeydew this morning--and it was so good. one of my favorite things about summer is the amazing fresh fruit you can get (not to mention the vegetables). but i have to say i'm especially partial to fruit. 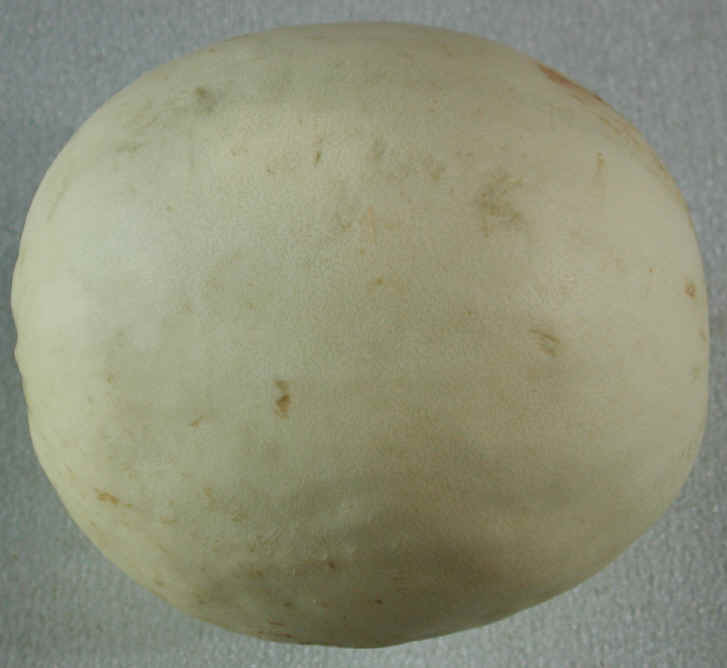 the first time i had a honeydew i thought it was disgusting--but i think it must have been really over ripe. anyway now i think they're just heavenly. and they're so unassuming from the outside--they don't have that immediate zing that a pineapple or mango has. if you haven't had one in a while i would strongly recommend that you pick one up.